Blessed with one of the finest collections of ceramics in France, MUDO-Musée de l’Oise presents, from 15 September, Ceramic Treasures of Oise, a unique set of more than three hundred ceramic pieces, presented in the exhibition space below the rafters, the jewel in the architectural crown of the museum, dating from the 16th century. 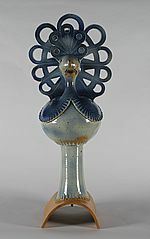 Having been in storage since 1993, MUDO-Musée de l’Oise’s ceramics have formed the foundation of the museum’s reputation, as has its collection of Art Nouveau works. 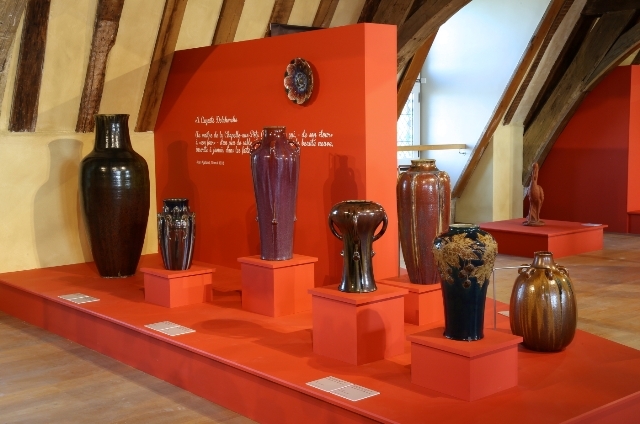 This exhibition constitutes a preview of the permanent ceramics exhibition that will be launched alongside the presentation of the 20th-century collection, due to open in 2020. 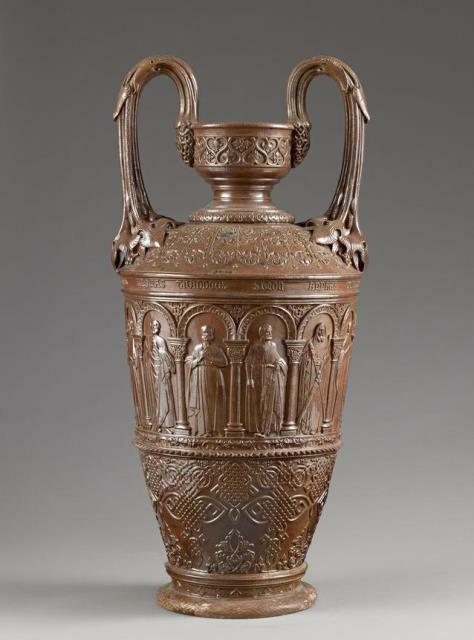 By exhibiting the museums major pieces, Ceramic Treasures of Oise shows the important place Oise occupies in the history of ceramics in France. 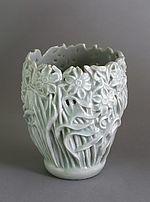 Since the Middle Ages, le Beauvaisis area and the Pays de Bray area enjoy an international reputation for the quality of their clay and the excellence of their production, which continued up to the beginning of the 20th century. 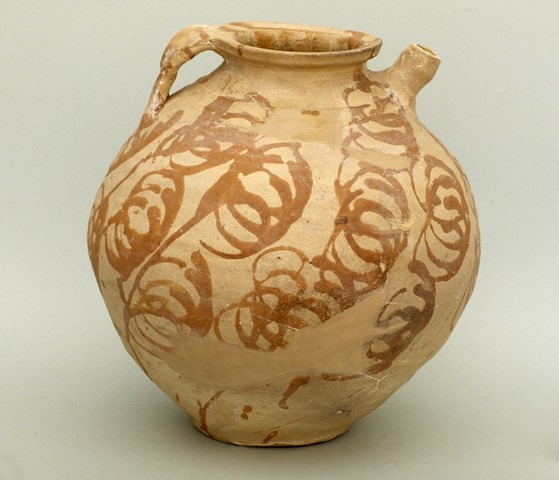 This presentation represents an opportunity to discover, over a timespan of more than a thousand years and thanks to an exhibition arranged chronologically and thematically, the development of this activity in Oise via the ranges of techniques developed, the decors employed or the diversity of its uses from the utilitarian terracotta of the 9th century all the way to the architectural ceramics produced at the Tileries in Beauvais, via the porcelain of Chantilly and the faience of Creil. 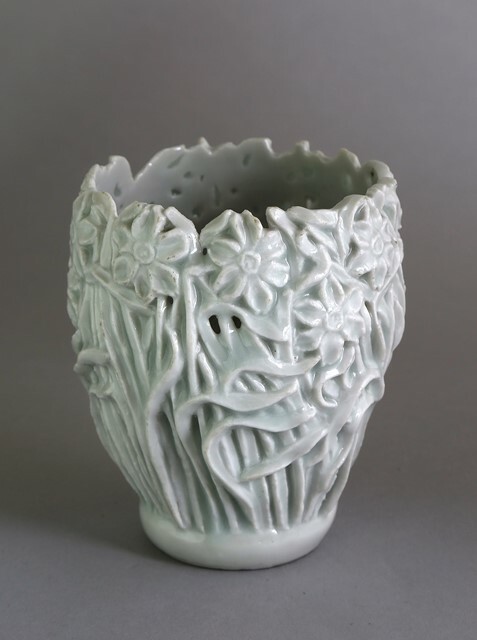 The Oise area is recognised as an unrivalled centre of innovation and production for the art of ceramics. 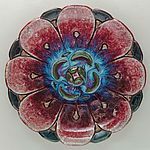 The pieces produced in the department have met with great success and have benefitted from an unimpeachable reputation for centuries. 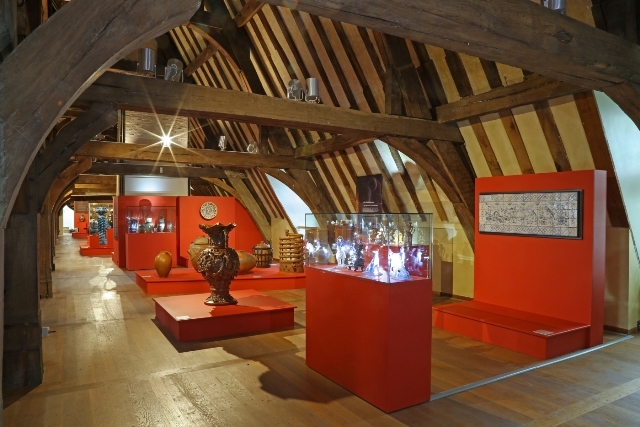 Le Beauvaisis became one of the rare European centres for ceramics where, in the 14th century, a veritable technical revolution took hold, giving birth to a new material, “earthenware”, which until the 18th century was known as “Terre de Beauvais” (“Beauvais earth”). 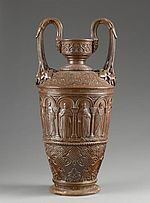 The glazed pottery and the Beauvaisis earthenware from the “Beautiful 16th” thus spread throughout France as well as abroad, all the way to the most prestigious residences and royal courts. 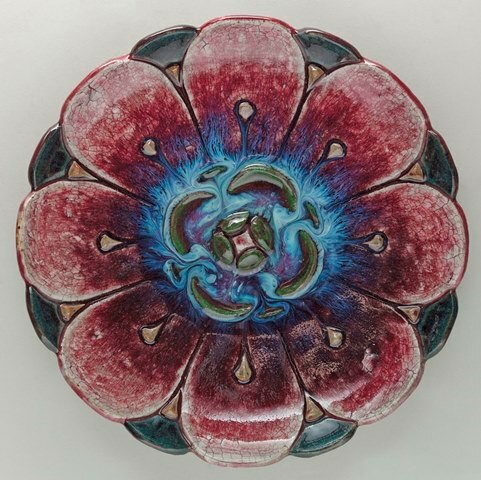 The 19th century appeared as a century of change and renewal, with the spread of fine faience from Creil, the creation of the first workshop producing terracotta tiles and the attraction of first-class potters to the area. 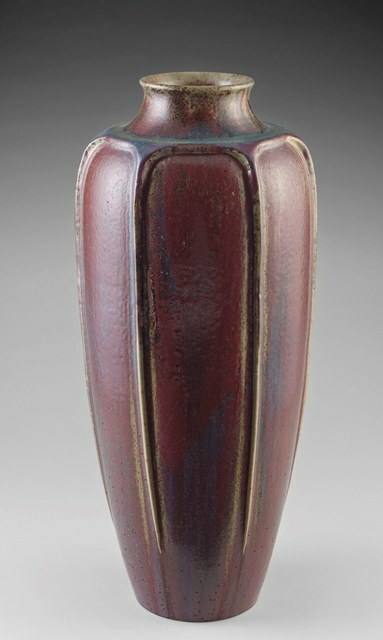 Jules Ziegler set up in Voisinlieu in 1839 and restored the important place of earthenware in France. Peter Greber set up in Beauvais, giving rise to a dynasty of artists over nearly a century of creation. 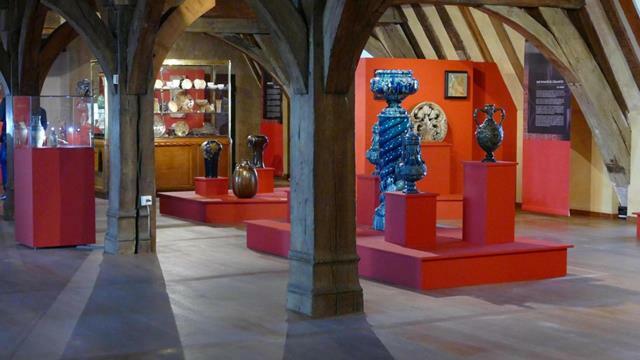 A leading figure in French ceramics across the world, Auguste Delaherche transcends ceramics and is responsible for turning it into a major art form. 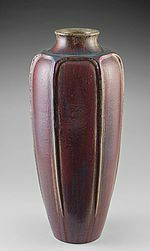 He was born in Beauvais in 1857 and this master potter spent most of his life as an artist in Oise, in the heart of the Pays de Bray area. 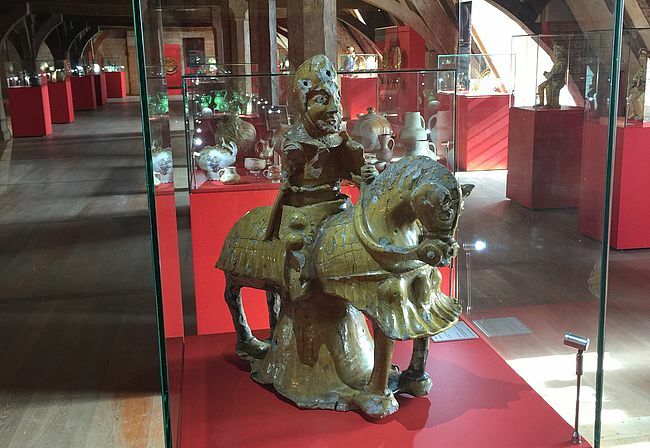 MUDO-Musée de l’Oise owns the largest public collection of pieces by the artist, part of it bequeathed by his wife Jeanne with donations and acquisitions added to it since 1959. 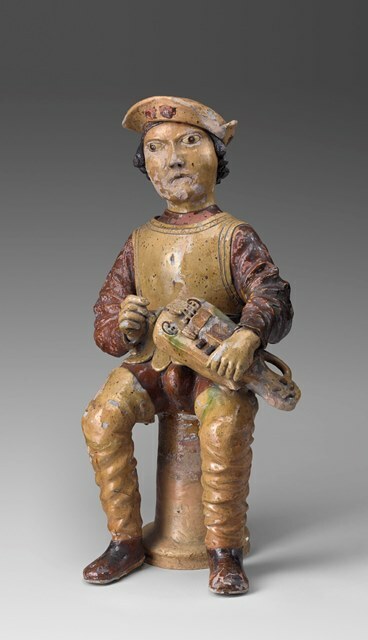 Ceramic Treasures, MUDO-Musée de l’Oise Collection from the 9th century to our times will present nearly 100 pieces by Delaherche as part of the total of 300 pieces overall. GENERAL CURATOR: Gilles BAUD-BERTHIER, director of MUDO-Musée de l’Oise, Chief Heritage Curator. SCIENTIFIC CURATORS: Jean CARTIER, Chair of Le Beauvaisis Ceramic Research and Study Group and Sylvain PINTA, Conservation Officer with responsibility for ceramic collections at MUDO - Musée de l’Oise.